The World Health Organization defines General Dentistry as “the science and art of preventing, diagnosing and treating diseases, injuries and malformations of the teeth, jaws and mouth“. 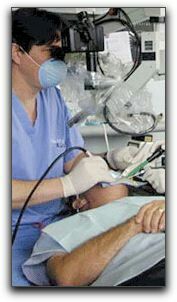 A dentist is a healthcare professional qualified to practice dentistry after graduating with a degree of either Doctor of Dental Surgery (DDS), Doctor of Dental Medicine (DMD), Bachelor of Dentistry (BDent), Bachelor of Dental Science (BDSc), or Bachelor of Dental Surgery/Chirurgiae (BDS) or (BChD) or equivalent. In most western countries, to become a qualified dentist one must usually complete at least 4 years of postgraduate study. Generally, 2 years of clinical experience working with patients in an educational setting are required. We practice General Dentistry in the city of La Mesa, as well as sedation and cosmetic dentistry. We provide general dentistry services to the greater San Diego area, which includes general dentistry services for anyone in the cities of San Diego, Alpine or Santee. Give us a call at 619-717-8560 to schedule a general dentistry appointment in La Mesa, or to ask questions about general dentistry.